It may be February but it feels like SPRING around here, all thanks to the new Mondo Gerbera daisy stamps and coordinating dies! 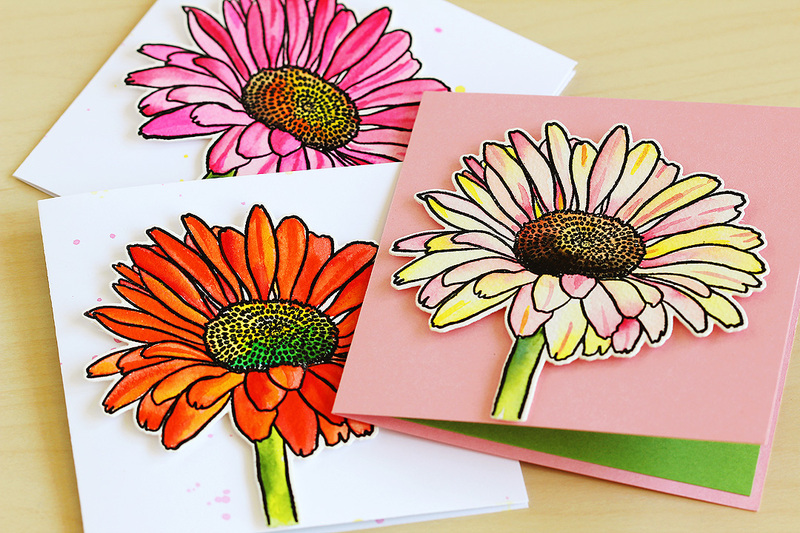 Mondo Gerbera stamps and coordinating dies! Or go for the combo — you know you want to! I love the whole Mondo lineup, and these are no exception! 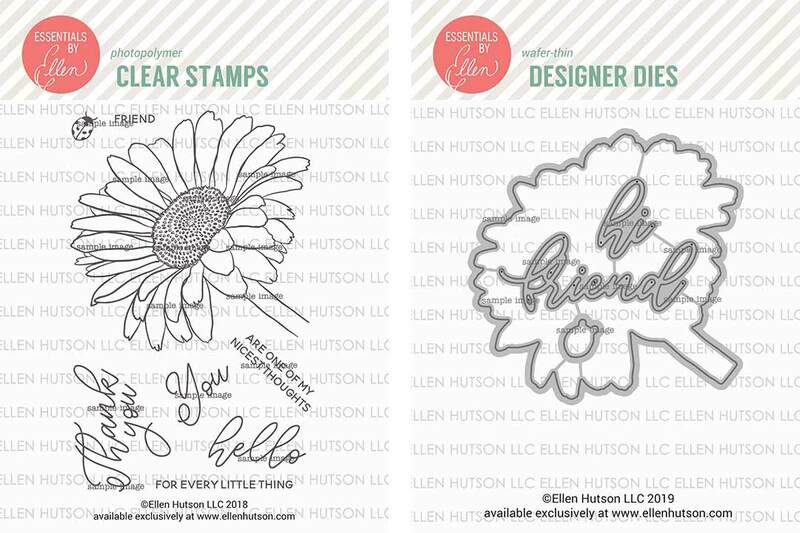 My favorite thing to do is to stamp a bunch of ’em and then sit down and color away. So relaxing! Of course that means that you’ll end up with a bunch of cards! 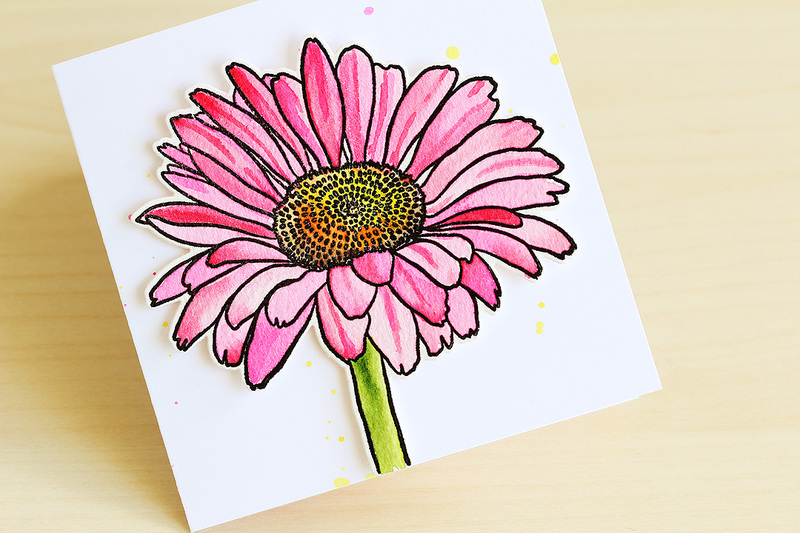 The daisies were so cool that I decided to make 4.25″ square cards and let them take center stage. Then I added sentiments on the insides. I LOVE the sentiments and fonts that come with these! And that new butterfly sequin mix — you’ll see it again because I just can’t stop using it! I thought I’d share some closeups of each daisy and give ya some ideas for coloring. Would anyone out there be interested in a video? Let me know! And what color would you like? High quality watercolor paper is key for these — I used my trusty Arches! I tried it on student grade paper and it looked so bad I didn’t post it, ha! I stamped the image in black and embossed with clear powder so I didn’t have to worry about opaque colors mucking up the stamping. It also helps with controlling your colors. I like to work on one petal at a time. After I finish one I move on to an opposite petal — I find that this makes my flowers look more natural. I used sap green for all of my stems, and added a little hansa yellow light to the right side of the stem (from the Daniel Smith Essentials set) for shading. 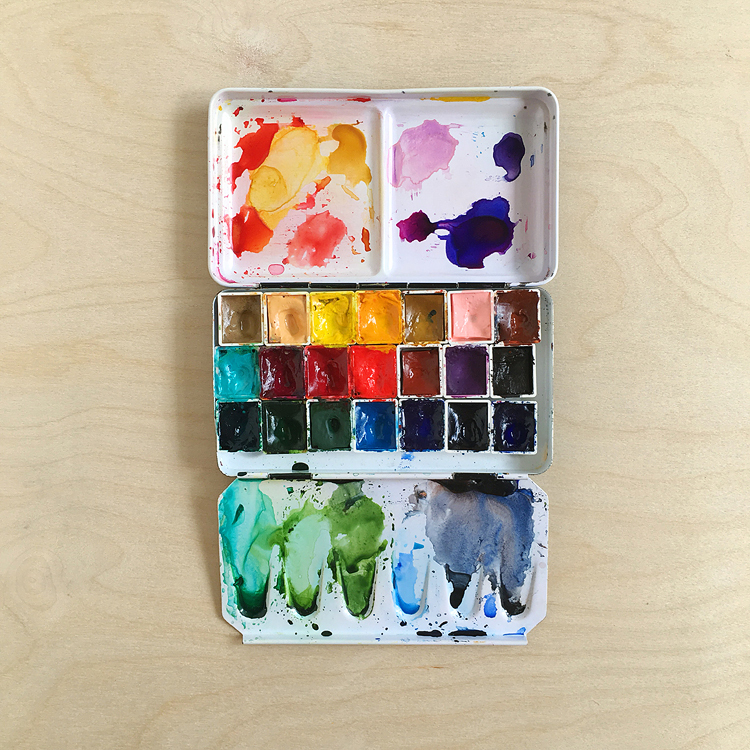 If you don’t have these colors in your toolbox yet you totally should — find a full writeup on the set here. I started off with a classic orange gerbera. The key for this is one is Daniel Smith organic vermillion — it’s a rich, semi-opaque orange that’s just perfect for gerbera daisies! I also like to add in some new gamboge, Hansa yellow light and pyroll scarlet here and there from the Daniel Smith Essentials set. Next up, a classic pink gerbera! This one just called out for Daniel Smith Opera Pink! Note that this color isn’t lightfast, so if you plan on using it on artwork that you’ll hang in your living room you wouldn’t want to use it for that. But it’s perfect for cards! I also added in bits of quinacridone rose from the Essentials set and even bits of quinacridone coral — this warm red really contrasts with the cool pinks! Last but not least, a pastel version! 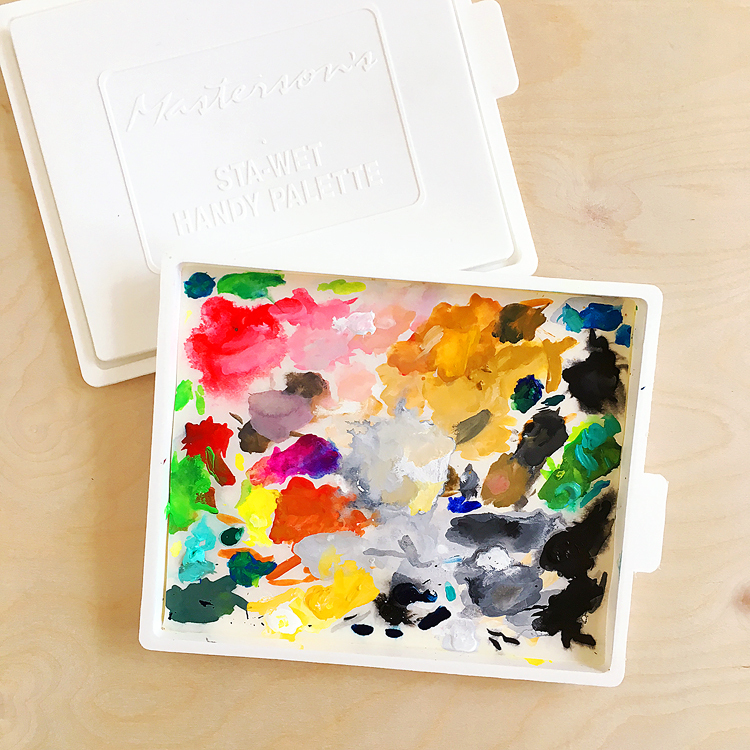 I think the key here is Daniel Smith Naples yellow — it has a little bit of white in it and makes such pretty shades when mixed with the opera pinks. Since this is a warm yellow, I added a little Hansa yellow light from the Essentials set for contrast. Guess what!?! 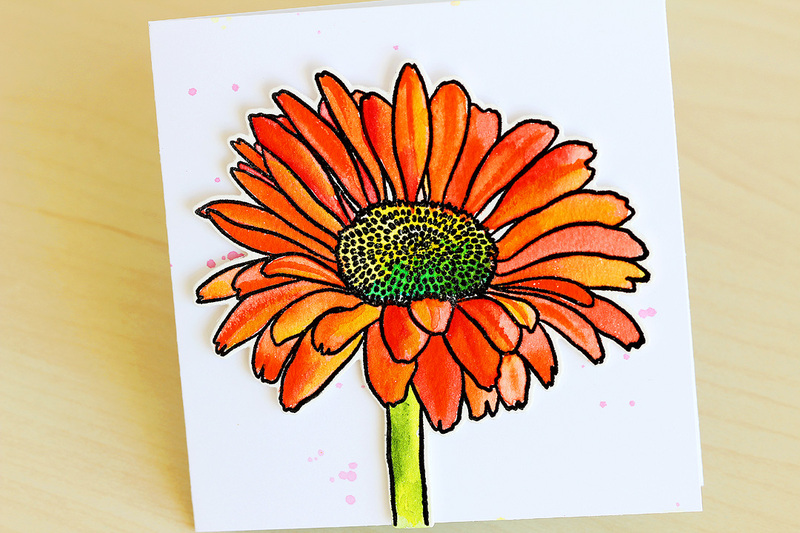 I have a Mondo Gerbera stamp and coordinating die to giveaway — yeah!!!! To enter, just leave a comment on this post by Wednesday, February 13th and I’ll announce the lucky random winner on Valentine’s Day! Please note that the giveaway is open to US mailing addresses only — so sorry! Hope you all understand xoxo! First up: Mondo Gerbera stamps and coordinating dies! Or go for the combo and save — you know you want to! 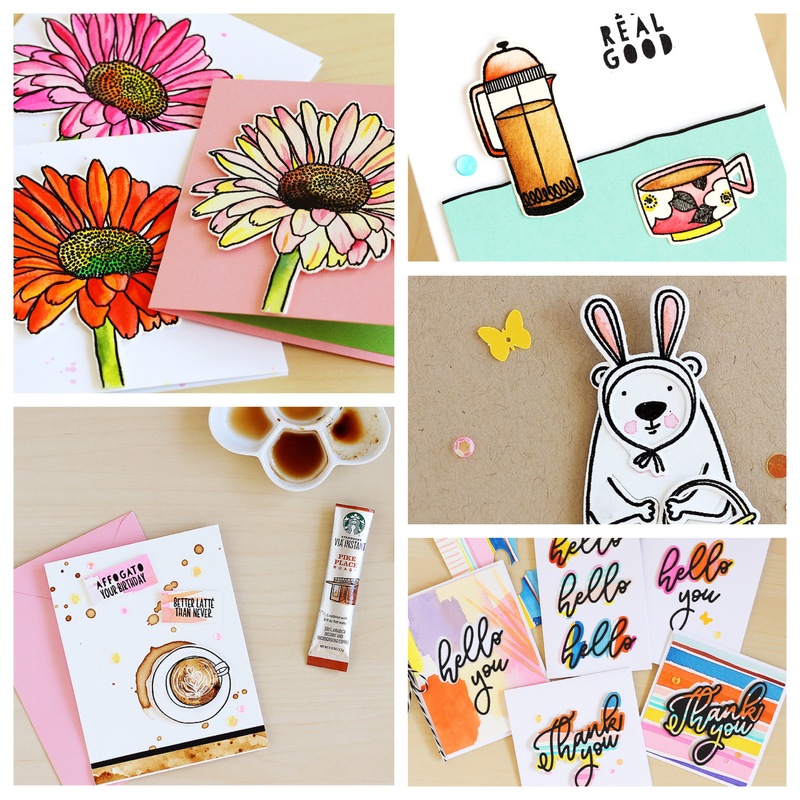 I have a release roundup post for ya right here — I got a little carried away making cards and putting them all in one post made it way too loooooong LOL! Here are the other posts — PS there’s one more giveway…! Part 1: Mondo Gerbera and a GIVEAWAY! <— you are here! Thx for sharing your creativity in this post. I’ve not tried stamps before — your flowers are so colorful, I can almost smell their fragrance ; ) I think this would be awesome on cards, and I was thinking about how beautiful journal covers these would make. Thx for the opportunity to participate. How gorgeous! 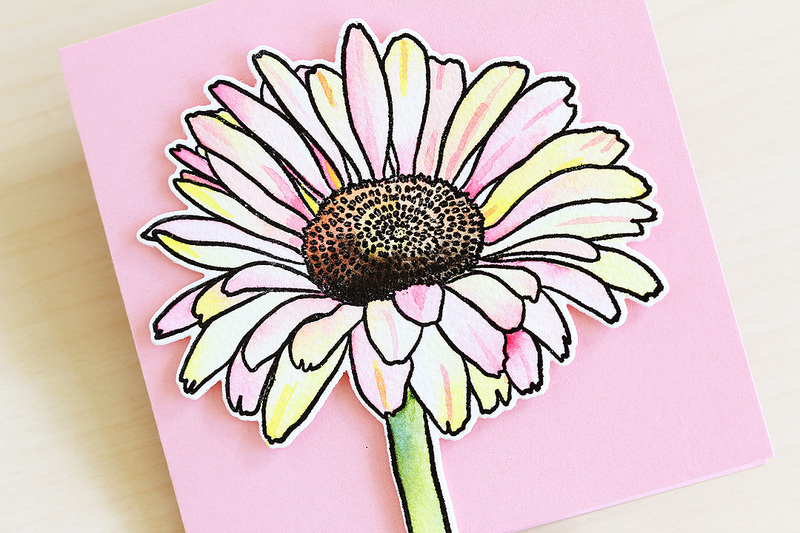 Love this gerbera daisy stamp and die! Your coloring is so amazing 💕❤️. Stunning cards!